Congratulations on taking the giant photographic leap to an interchangeable lens camera! You’re probably already thinking about what lenses to add to your bag — that’s why you’re here, right? As cool as your new DSLR or mirrorless camera is now, it won’t reach its true potential until you take a deep dive into the world of lenses. It’s a somewhat sad fact that most interchangeable-lens camera buyers never take off the kit lens that came with the camera, which sort of defeats the purpose of having an interchangeable-lens camera. This is why we’ve put together this guide to help make sure you know what to look for in lenses to get the most out of your new camera (check our full camera buying guide if you’re still shopping for one). Chances are, investing in a new lens will offer a better boost to image quality than upgrading the camera body, not to mention open up new creative opportunities. If you’ve yet to pull the trigger on a new camera, make sure to check out the lens options available for the brands and models you’re researching. Sure, it’s unlikely that anyone needs to buy a dozen lenses for their camera, but the larger the collection available, the more variety you will have to choose from, from wide-angle to telephoto and everything in between. Above all, make sure the specific type of lenses you need for your personal photographic style are available for your system of choice. For example, if you primarily photograph landscapes, you’ll want a different type of lens than if you plan to shoot mostly portraits (we’ll get into the specifics in a minute). When you buy an interchangeable lens camera, you’re entering a relationship with the specific hardware mount determined by the brand, so this is not a choice to take lightly. For example, Nikon and Canon DSLRs use incompatible mounts, while Canon’s EOS-M mirrorless series uses an even different mount (as does Nikon’s still-mysterious upcoming mirrorless line). With the exception of Panasonic and Olympus, who share the Micro Four Thirds mount, virtually every manufacturer sticks to its own, proprietary lens mount. In some cases you can put one type of lens on a different type of body using a mount adapter, which is relatively common for putting DSLR lenses on smaller mirrorless bodies, but this almost always sacrifices some functionality or performance. Additionally, while Nikon and Canon have been using their respective F and EF mounts for decades, that doesn’t mean that every lens they make is compatible with every body. Some older lenses may not be able to use autofocus on newer cameras, for example. To check, Google a lens compatibility chart for the your camera brand and model before you hit that add to cart button. Also, be aware that some specialty lenses may not offer autofocus at all, although you probably won’t run into these unless you’re looking into the world of creative effects lenses or high-end options from premium lens makers like Zeiss. 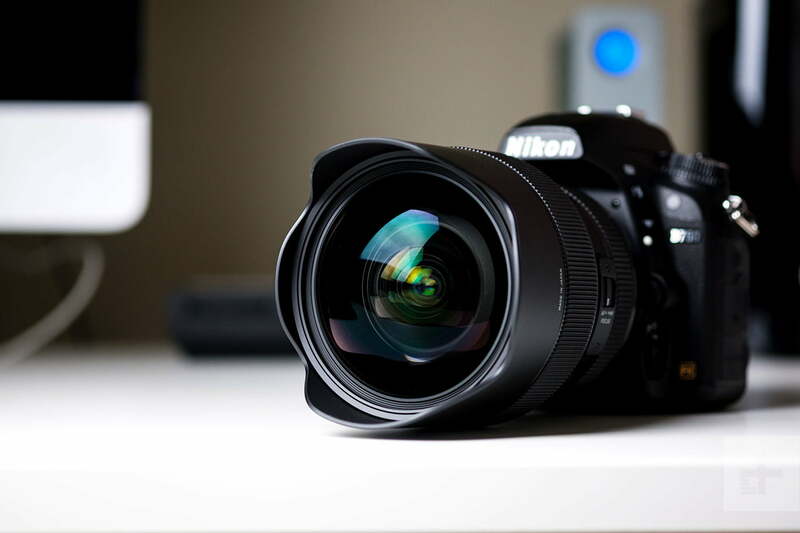 DSLRs and mirrorless cameras — particularly entry-level models — are often sold in kits, meaning they are typically supplied with a basic zoom lens, which may be something like an 18-55mm or 14-42mm depending on the brand and format of your camera. One common misconception about large, interchangeable-lens models is that they offer inherently better zoom capability than a compact camera. In fact, the opposite is often true. An 18-55mm lens is only a 3x zoom. Compared to a compact camera like the $400 Canon PowerShot SX730 HS with a 40x zoom or the new Nikon P1000 with a 125x zoom, this is nothing. Typically, the maximum zoom power you’ll find in an interchangeable lens is around 10x, but comparing a DSLR or mirrorless camera to a point-and-shoot isn’t really fair. 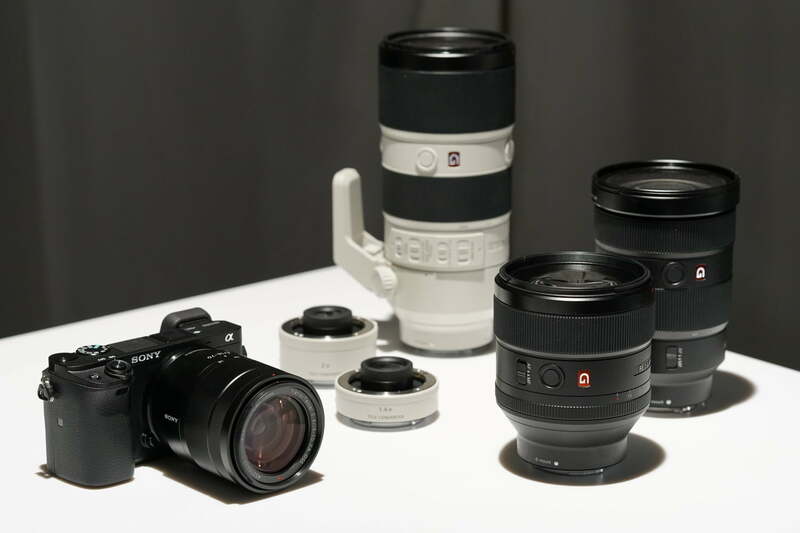 Interchangeable lens cameras use much larger sensors that produce very high-quality images compared to compact models, but those large sensors require equivalently larger lenses. This is why small cameras can have oodles of zoom, while larger cameras require on multiple lenses to cover the same range. Zoom is also commonly confused with how close a lens can bring a subject. The zoom number, like 3x, only shows the range from the widest angle to the farthest angle of that lens. Zoom is a good indicator of flexibility, then, but not how close you can get with that lens. For that, you need the focal length, or the number with an “mm” after it, like 50mm. In point-and-shoot cameras, it’s more common for manufacturers to advertise the zoom rating of a lens (10x, 40x, etc. ), whereas DSLR and mirrorless lenses will be advertised by their focal length range (18-55mm, 24-120mm, etc.). If a lens has a single focal length number, e.g. 50mm, it is a prime lens and doesn’t zoom at all. A smaller focal length will capture more of the scene, while a larger focal length will bring the subject in close. Wide angle lenses, then, are often used for landscapes or working in tight quarters, while telephotos are popular for wildlife, sports, and even things like wedding ceremonies. Portrait lenses generally fall in the short telephoto range, from 50mm to 105mm although they can be longer. While shooting portraits with a wide angle lens can be done, such lenses tend to cause distortion. This is why your nose always looks bigger in selfies; smartphones have wide angle lenses. The focal length also determines how easy it will be to blur the background of the image. A telephoto lens will make the background appear more blurred than a wide angle lens, even at the same f-stop (which we’ll talk about in a bit). This is another reason why telephotos are popular for portraiture; they help separate the subject from the background. While a macro lens is most often a telephoto, what’s actually important here is the magnification, or reproduction ratio, of the lens, which is independent of focal length. A typical macro lens will have a reproduction ratio a 1:1, which means if you photograph, say, a coin, the image of the coin projected by the lens onto the sensor will be the exact same size as the coin itself. You can imagine, then, how much detail will be visible when you look at that image on your computer screen or make a large print. Tilt-shift lenses, meanwhile, are designed for keeping lines straight, which is why they are used in architecture photography. They are pricey niche lenses that you’re unlikely to encounter this early in your photographic journey. In order to understand what a lens will look like on one format compared to a different lens on another format, we need to convert those focal lengths into some kind of standard. The industry agreed-upon method for doing this is to use the full frame equivalent focal length, which is calculated using a format’s crop factor. Most APS-C sensors have a crop factor of 1.5x, which means if you multiply a lens’ focal length by 1.5, you will get the full frame equivalent focal length of that lens. (Canon is an oddball here, with a crop factor of 1.6x on its APS-C cameras.) For example, an 18-55mm kit lens on a Nikon D5600 will have a full-frame equivalent focal length of 27-82.5mm. The Micro Four Thirds format is a bit smaller than APS-C and has a 2x crop factor, so a 14-42mm MFT lens will have an equivalent focal length of 28-84mm. Notice anything about those numbers? Exactly: An 18-55mm APS-C lens provides just about the same field of view as a 14-42mm MFT lens. Across manufacturers and formats, basic kit lenses cover roughly equal zoom ranges and fields of view. So, why is this important? In the days of 35mm film, most cameras used the same size recording medium, and so when looking at the focal length of a lens, the user immediately knew what angle of view it would capture. A 24mm lens was always a wide-angle, a 50mm was always a “normal” lens, and a 24-70mm zoom would always cover everything from wide-angle to short telephoto. Nowadays, the only instance where the stated lens focal length is one-for-one are cameras with full-frame sensors, such as the Nikon D850, Canon EOS 5DS, or the mirrorless Sony Alpha A7 series. In these cameras, the sensor is the same size as a frame of 35mm film. This is why you will often see “full-frame equivalent” written as “35mm equivalent.” We stubbornly prefer the former in order to avoid confusion: Saying an APS-C 35mm lens has a 35mm equivalent field of view of 52.5mm is just a mess. When buying lenses, you always have to keep in mind how the size of the sensor impacts the angle of view of the resulting images. Using a “nifty fifty” 50mm f/1.8 lens on a Canon Rebel T6i will not yield a “normal” angle of view as it will on a full frame camera. Instead, it becomes a moderate telephoto at around 80mm due to the 1.6x crop factor. Likewise, on a Micro Four Thirds camera, a 25mm lens is not a wide-angle, but equivalent to a 50mm lens due to the 2x crop factor. Once you’ve decided on your format, you don’t really need to worry about equivalency anymore. Slap a lens on your camera and what you see is what you get. However, when comparing formats, understanding the crop factor isn’t just about knowing what you’re talking about; it can actually save you money and help make sure you’re picking the right camera system for your needs. Don’t look at a $350 25mm f/1.8 Olympus lens and think, “Wow, this is way less expensive than the $750 Nikon 24mm f/1.8.” These are completely different lenses. Instead, compare the Olympus 25mm f/1.8 to Nikon’s 50mm f/1.8, and you’ll discover that the Nikon is actually much cheaper — just $220.